Let’s start with the Ultra Colour Lip Crayons. It was only a matter of time before Avon launched something like this – every brand and it’s mother has a range of Chubby Stick-esque lip pencils these days. Avon’s version are richly pigmented, delivering great colour payoff in a single swipe and gliding on with ease thanks to vitamin E and shea butter in the formula however, that’s about it for the plus points. I just can’t love these the way I wanted to – they’re chock full of glitter which while it doesn’t feel scratchy or uncomfortable on the lips, it just looks tacky in my opinion. Also the darker colours (as you can see with Reddy For Me and Fresh Fuchsia below) have trouble adhering to the inner part of the lip. If you don’t mind a bit of sparkle to your lip products, these are worth checking out, particularly the lighter shades as they don’t seem to have the same adhesion problems as the darker ones. Personally the only one I can see me getting any use out of is Showstopper Pink, as the glitter seems to stand out less. Thankfully I have much more positive things to say about the Ultra Colour Lipsticks. Apparently, Avon’s patented True Colour technology leaves each pigment particle encased in shea butter which again, means these glide on very easily without so much as a hint of dragging. I feel as though these lipsticks actually work to condition the lips, as they wear extremely comfortably and are infused with vitamin E and omega 3 – not to mention SPF15. They last well, only really requiring a touch up after eating. 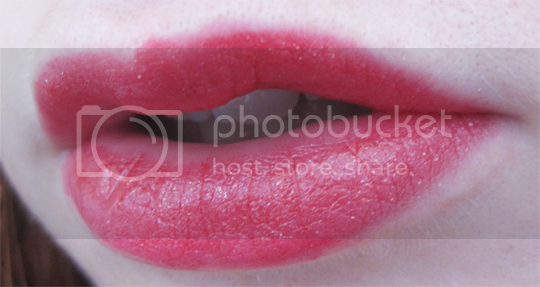 Whilst a couple of the shades are duds (definitely not keen on Proper Pink – which I think is a total misnomer! – or Rose Quartz on my skintone), others are gorgeous (like Hibiscus and Hot Pink) and you are bound to find several shades you love in this range since it comprises a huge 30 colours. Overall, while I can’t suggest badgering your local representative or stalking the Avon website for the release of the Ultra Colour Lip Crayons, I definitely recommend the Ultra Colour Lipsticks. With both products costing £7.50 each, they’re just about matching the price of your average pharmacy brand lipstick these days so they’re not pricing themselves out of the market. Pingback: TEST Do Not Refreeze » Mary Kay at Play: Hits or Misses? 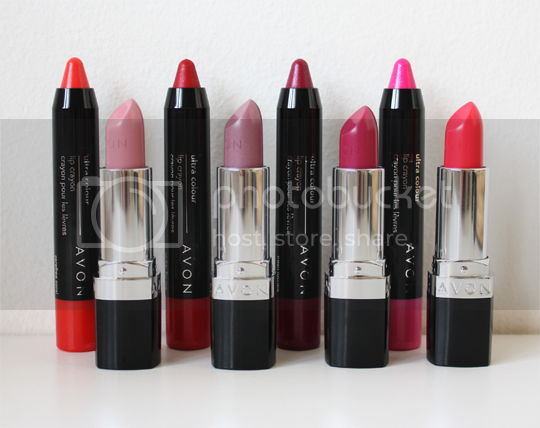 Are any of Avon, Ture colour lip crayon Matt or glitter free. As I agree the glitter is tacky on my age 60.